Whisk olive oil, honey, sugar, lemon juice and vinegar in a bowl and set aside. 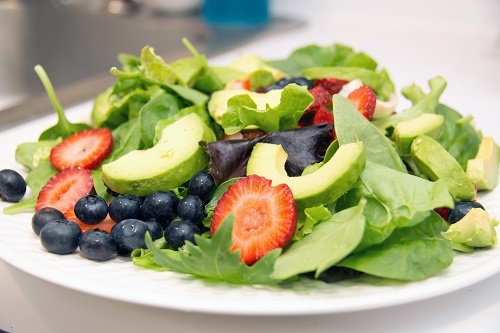 Chop up salad greens, and mix with sliced strawberries and avocados. Mix with the dressing, decorate with chopped pecans and refrigerate for a couple of hours before serving.